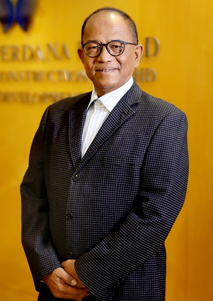 Dato’ Rosman Bin Abdullah was appointed as the Executive Chairman of Putrajaya Perdana Berhad (PPB) on 13th September 2012 pursuant to the acquisition of the entire stake in PPB by Cendana Destini Sdn Bhd, an investment holding company which he controls. He was re-designated as the Group Managing Director of Putrajaya Perdana Berhad (PPB), in December 2014, following the disposal of 30% equity of PPB to Lembaga Tabung Haji. Dato’ Rosman is a chartered member of the Malaysian Institute of Accountants and a member of the Australian Society of Certified Practicing Accountants. He holds a Bachelor of Commerce (Accounting) degree from the Australian National University and had attended the Advanced Management Programme at the Oxford University. Dato’ Rosman started his career with Arthur Andersen & Co in 1989. He was an Executive Director of Malaysia Airports Holdings Berhad from 1997 to 2003. 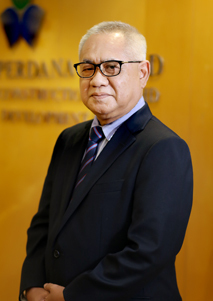 In 2003, he was appointed as the Corporate Affairs Director of PECD Berhad (“PECD”) and was promoted as the Group Chief Executive Officer of PECD in 2006 and held the position until 2009. He then served as the Chief Executive Officer of Syarikat Air Negeri Sembilan Sdn Bhd from 2009 to 2012. In his current capacity as Group Managing Director, Dato’ Rosman oversees the strategic, administrative, finance and operational aspects of the Group and its wholly owned subsidiaries including Putra Perdana Development Sdn. Bhd. (PPD), Putra Perdana Expressways Sdn. Bhd. (PPE) and Misi Serantau Sdn. Bhd. He also sits on the Boards of the subsidiaries of PPB. He is also presently serving as an Independent Non-Executive Director of Kumpulan Fima Berhad a company listed on the Main Market of Bursa Securities. Ms Angie Ang Ai Hoon was appointed to the Board of PPB on 1 August 2013 as an Independent Non-Executive Director. She is the Chairman of the Audit Committee and Remuneration Committee and a member of the Nomination Committee. Ms Angie Ang graduated from University of Malaya with a Bachelor in Accounting (Hons). She is an Associate Chartered Accountant of the Institute of Chartered Accountants in England and Wales. Ms Angie Ang began her career in Touche Ross & Co, London. She spent about 8 years with Hanafiah Raslan & Mohamad and Price Waterhouse in the areas of audit and business advisory from 1984 to 1992. She was a Senior Equity Analyst with Pesaka Jardine Fleming, SG Warburg (SBC Warburg) and Caspian Research from 1992 to 1998. She also served with Nomura Advisory Services Sdn Bhd since 1999 as an Associate Director, Nomura Malaysia Sdn Bhd as the Head of Debt Capital Market, and the Head of Fixed Income/Acting Head of Investment Banking. 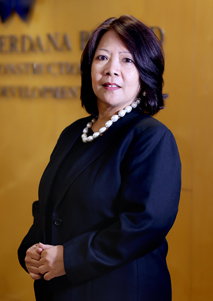 In 2007 she was appointed as the Country Head, Malaysia by Standard London (Asia) Sdn Bhd before undertaking the role as the Managing Director of Theia Sdn Bhd, an independent consultant to Standard Bank plc. 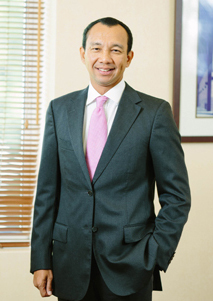 Dato’ Mohd Shukri bin Dahlan, was appointed to the Board on 1 October 2014. He is a member of Audit Committee and Nomination Committee. Dato’ Mohd Shukri bin Dahlan pursued his Diploma in Public Administration from Institut Teknologi MARA in 1990. In 2001, while serving in the Royal Malaysian Police (RMP), he acquired his Diploma in Policing and Aviation Security Management from Edith Cowan University, Australia. He joined the Royal Malaysian Police in 1977, as a Probationary Inspector and has held various posts throughout his 37 years of service. He rose in the ranks to several important positions at state level, including, as the Chief Police Officer (CPO) of Terengganu (2008-2010), CPO of Perak (2010-2013), and lastly, CPO of Selangor (2013-2014). He had also been appointed as Chairman of the Senior Police Officers Association, whose primary function is to address issues related to the welfare and service of police personnel. In 2014, he retired as Chief Police Officer of Selangor, with the rank of Commissioner of Police. He does not have any family relationships with any Director and/or major shareholders of PPB, nor any conflict of interest with PPB. He has had no convictions for any offences within the past 10 years. YBhg Dato' Sri Ahmad Latffi Hashim was appointed to the Board on 1 October 2014. Dato’ Sri Ahmad Latffi is a member of Remuneration Committee, Nomination Committee and Long Term Incentive Committee. Dato' Sri Ahmad Latffi graduated with a B.A. (Hons) Sociology & Anthropology from University Malaya 1973 and also holds a Master of Arts in Political Science from Ohio University, USA in 1997. Dato’ Sri had served the Government for more than thirty four years holding various positions, amongst others, District Officer in the District of Gombak and Klang, Selangor, Deputy State Secretary of Selangor, Deputy Secretary General, Ministry of Defence and he was later promoted as Secretary General of the same ministry. These positions had provided him vast experiences in various Government sectors such as district and local council administrations, land administrations, state administrations and federal administrations in various fields such as human relations, finance, procurement and development. He was appointed as Advisor to the Economic Planning Unit (EPU), Prime Minister's Department for a year after he retired from the Government sectors. He does not have any family relationships with any Director and/or major shareholders of PPB, nor any conflict of interest with PPB. He has had no convictions for any offences within the past 10 year.